One of the major keys to having a successful YouTube channel is the number of views and the number of the subscribers on your channel. No matter how useful or entertaining your video content may be, the rate at which it is being viewed counts the most. So it is necessary that you should focus equally on promoting it and letting your users find your YouTube channel and video contents. Refining and simplifying the process of increasing your visitors is also much easier when you can convert your blog readers to your YouTube subscribers. It is an easier solution and surely takes much less effort and time to do so. In fact, if both your blog and channel deals with similar content then they are also likely your target audience. And that is exactly what we will be talking about today! A thorough and simple to follow guide to add YouTube subscribe button on your WordPress! Let’s start off by naming out the methods you can use to get it done! There are two methods we are going to talk about today! Manually Adding a YouTube Subscribe Button Code! Let’s start off with a more methodical process to add a YouTube Subscribe button on WordPress. For this method, you need to visit the YouTube Subscribe Button Page. For your convenience, we have added the link above! Once you are on the page, you will see a range of options available to create a button. Add the name of your YouTube channel, select a theme and a layout and finally choose to show or hide the Subscriber Count. With each change you make, you will notice a Live Preview so that you know exactly how the end result looks. Once you are done customizing it, scroll down further and you will see the code created for the button. Simply copy it so that you can use it later to embed the button. Now, login to your WordPress using your credentials and go to the option for Appearance. Select widgets and you will be redirected to the widgets page that displays all your available widgets and plugins. Find the Text Widget and simply Drag and Drop it to your preferred area. Next, you need to paste the code you copied earlier for the YouTube subscribe button. Once you are done, Save the Changes and visit your website to find the newly added button. Method 2: Using a Plugin to Add YouTube Subscribe Button! The second method to opt for is simply using a WordPress plugin. Today we will be using the YouTube Subscribe plugin to elaborate the process more clearly. Starting off, Install and activate the plugin. Click here to redirect to their plugin page. If you have any questions regarding the installation process, here is a thorough tutorial that will answer your queries regarding the subject matter. Once you have activated the plugin you will find a newly added menu on your Settings. Go ahead and select the option for SM YouTube Subscribe. You will then be redirected to the setting page for YouTube subscribe! There you will find the settings exactly like the one with the YouTube Subscribe Page where you can change add your YouTube Channel’s ID, change the layout and the theme. 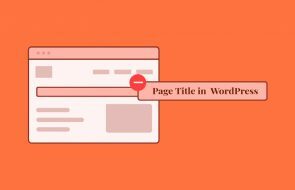 But instead of the button code, this plugin comes up with shortcodes you can add directly to any post or pages on WordPress. Go ahead and copy the shortcode and paste it wherever you prefer your button to be. Save the Changes and that is it. You can now go ahead and find the newly added YouTube subscribe button on the post or page that you just created. Owning a YouTube channel and a website can go hand in hand both in a way promoting themselves. With an easy way to combine both with a Subscribe button, we hope we have solved your dilemma. Not only will you be able to divert your followers to your channel and grow your subscribers, but the audience will also be targeted if it deals with similar topics. For your convenience, we have mentioned two easy methods you can follow. And by now we hope you have easily followed the process and reached your desired results. So go ahead and grow your audience. Gain more loyal followers and lead your way to success! Liked our tutorial or found it helpful? Why not check out more of our easy-to-follow guides for WordPress beginners! How to Add WordPress Breadcrumbs: A Beginner’s guide! 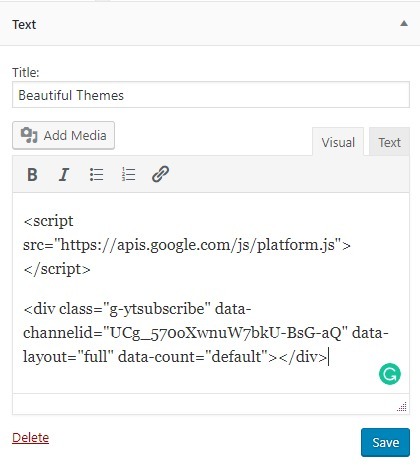 Install and Setup Google Tag Manager for WordPress: Step-by-step guide! How to Manually Update WordPress in simple steps! 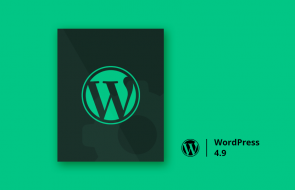 What’s New in WordPress 4.9? Everything you should know about! How to Add a Facebook Fanbox to your WordPress Website using WordPress Facebook Widget? How to Create Temporary Login for WordPress without Password?